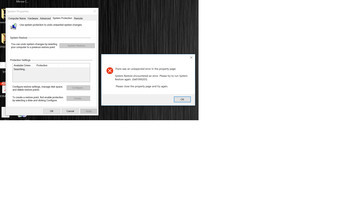 instead of continue cleaning ccleaner exit ..did some one else has this issue ? do you have same operating system ? fwiw I'm using win10 pro version 1709 build 16299.402 and found ccleaner 5.42 became unresponsive every time I try to clean windows log files. I've reverted back to the previous build that works perfectly so I suspect the problem is with ccleaner not kis. p.s Strange is if you exit kaspersky ccleaner 5.42 works any troughs ? @others (64-bit users): please download procdump.zip (https://download.sysinternals.com/files/Procdump.zip), close running CCleaner UI and run procdump.exe -e 1 -f "" -x "C:\Program Files\CCleaner\CCleaner64.exe" - it should create a dump file when CCleaner crashes when you press "Clean" button. The error code is 0xC0000374. My OS is Windows 10 1709 Build 16299.402 x64 and I use Kaspersky Anti-Virus 18.0.0.405(g). If I close Kaspersky completely, CCleaner works; whitelisting CCleaner in Kaspersky has no effect. In a virtual machine with Windows 10 x86 and Avast I don't have this problem. The error code is 0xC0000374﻿. My OS is Windows 10 1709 Build 16299.402 x64 and I use Kaspersky Anti-Virus 18.0.0.405(g). Do you have 'System Watcher' enabled in KAV 2018? I'm not sure if its included in KAV but it is in KIS. If its enabled, try disabling it to allow system changes. Also, believe it or not, I seen where users on different forums had this error and the bottom line of what was causing it was the thumbnail cache. I would at least try this, where you don't check mark the deletion of thumbnail cache file. Also some users with this error found out if they used icons instead of thumbnails, the error stopped. Just a suggestion is all. I'm d4k0 from the Piriform forums. Deactivating "System Watcher" didn't help. 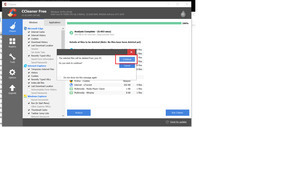 Whitelisting CCleaner also has no effect. Deleting the thumbnail cache is also deactivated. Using the 32-bit version of CCleaner on the real system with KAV results in the same crash of CCleaner. I completely removed Kaspersky Anti-Virus 2018 today (I also used "kavremover") and reinstalled it. Now CCleaner 5.42 doesn't crash anymore. Very strange as I tried the new version of CCleaner again before I removed Kaspersky (with the latest signatures) which gave me the same crash. you did use uninstall from control panel and after kavremover ? Uninstall Kaspersky from control panel and restart. Reinstall Kaspersky and let it update. You are right, I verified it and had the same problem. This problem is known since 2016 and occurs on Windows 10 1607 and newer. Back then someone on the Kaspersky forums said that the developers know about it and some confirmed in December 2016 that it seems to be fixed, but it still seems to be a problem with the latest version from March 2018.